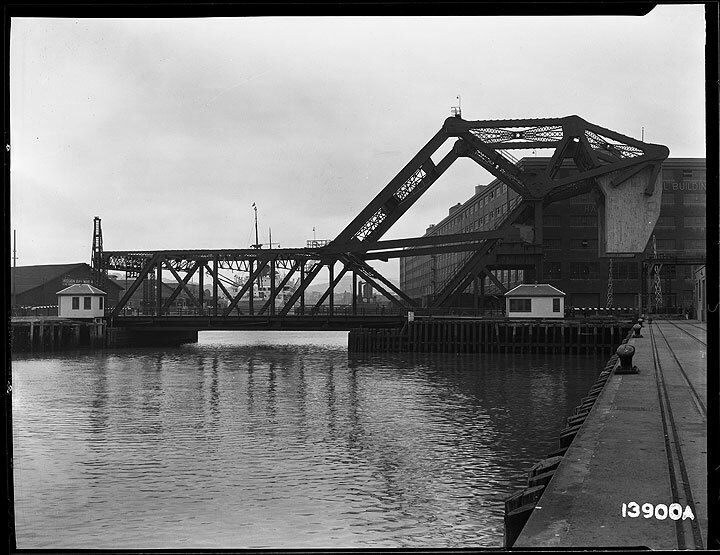 3rd Street Bridge before its official opening, March 30, 1933. 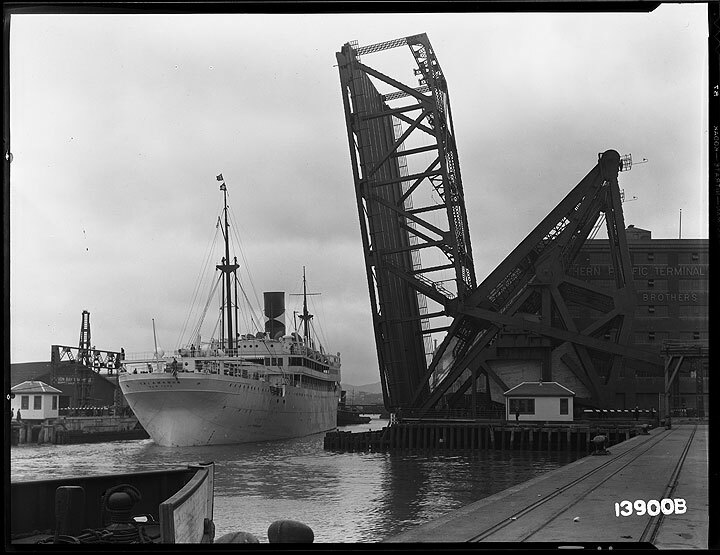 3rd Street Bridge open with the SS Talamanca going out with a tugboat. The day after official opening, May 13, 1933.
" 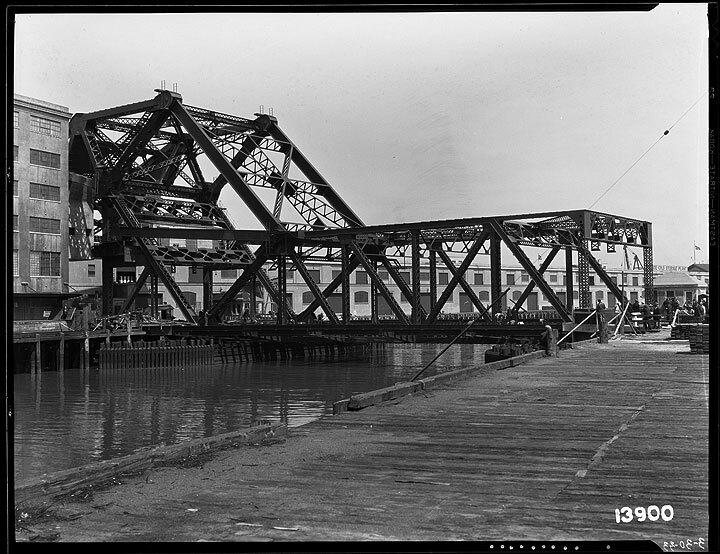 Lefty O'Doul" Bridge where 3rd Street crosses Mission Creek. 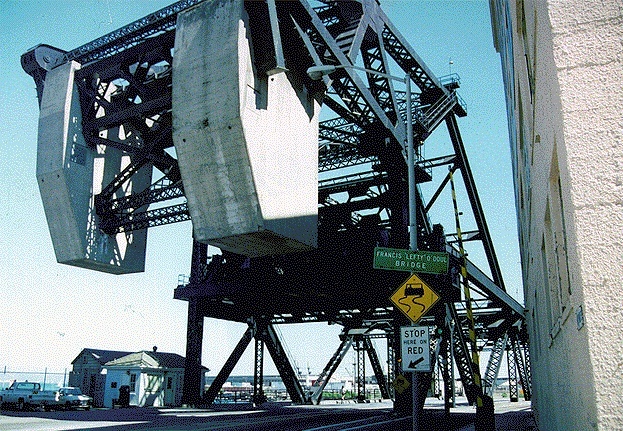 This classic draw bridge of the early 20th century was designed by the same engineer who later designed the Golden Gate Bridge.